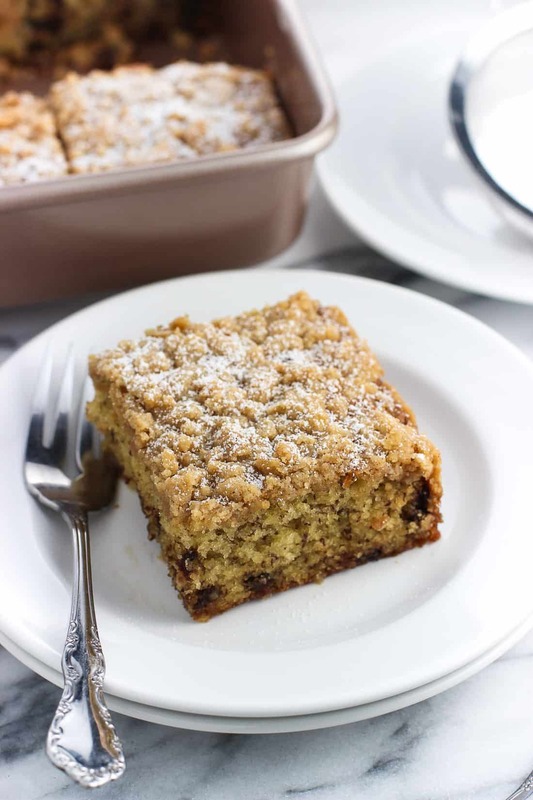 This chocolate chip banana crumb cake is tender and moist, making a delicious brunch baked good or dessert. 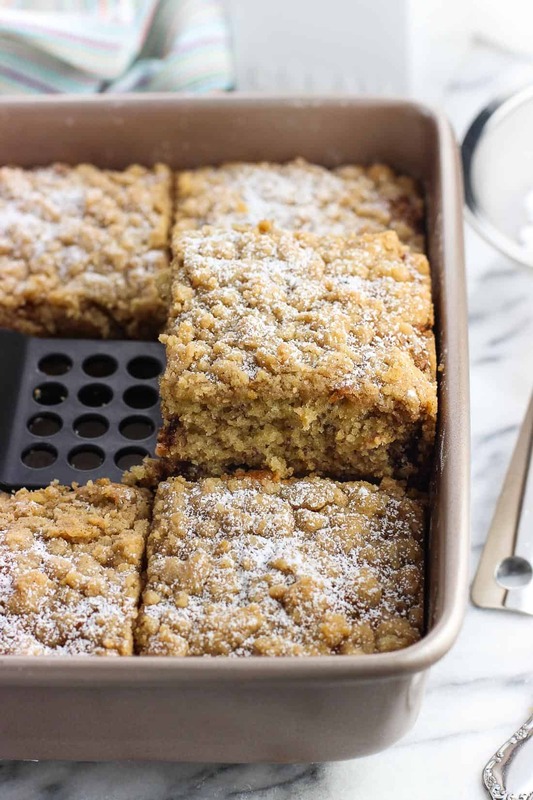 Covered in a rich and buttery crumb topping, this crumb cake recipe will be a family favorite. 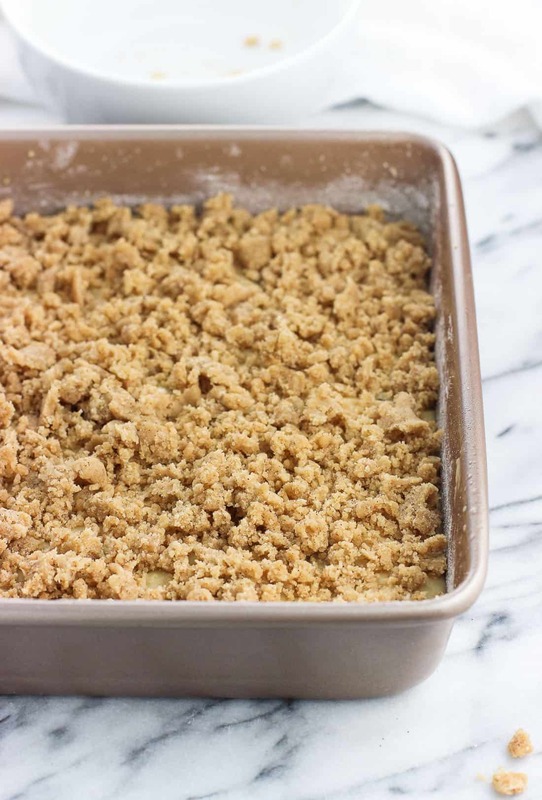 Two weeks ago it was all about crumb topping, so I couldn’t leave you hanging on the crumb cake itself. In traditional recipes, the cake portion isn’t exactly groundbreaking or where the emphasis lies. 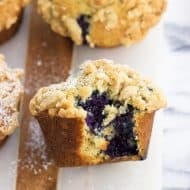 I mean, with a thick, buttery layer of crumbs on top, why would it be? The cake in crumb cake tends to be an afterthought. But! It doesn’t have to be. Each week I buy a few bananas and purposely let them languish in the fruit bowl until they’re overripe. Really as overripe as they can be without ending up in the trash can. 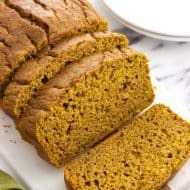 Now my standard overripe banana recipe is this naturally sweetened banana bread, but rather than add another half a loaf to my banana bread freezer stash, I started thinking about more of a dessert baked good. Combine this with a hankering for crumb cake, and here we are. Chocolate chip banana crumb cake. 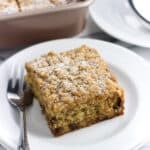 Thanks to buttermilk and a few mashed bananas, this chocolate chip banana crumb cake is a bit moister than the cake layer in a traditional crumb cake. In fact that’s a welcome change as far as I’m concerned. I couldn’t help but add some chocolate to this banana crumb cake because, well, why not? Let’s leave the healthy banana baked goods (like these freezer-friendly whole wheat banana chia muffins) for another time and step squarely into dessert world. That said, I used mini semisweet chocolate chips for a less intense chocolate taste. There aren’t any huge chunks of chocolate to bite into that will dominate the flavor, you know? But be my guest and use regular-sized chocolate chips or chunks if that’s what you prefer. There’s definitely wiggle room here. Oh, and are you the type of person who never keeps buttermilk on hand? If so, that’s me, too. See the recipe notes section below on the way I make a cheater’s buttermilk using regular old milk and vinegar. Works like a charm! A note about the crumbs!! The chocolate chip banana crumb cake you see in these photos was made using one whole batch of crumb topping, which is also linked in the recipe card below. While there is enough to cover the top surface generously, it isn’t piled super high like good old New York crumb cake. If that’s the look you’re going for, I suggest doubling the crumb topping recipe and going to town. 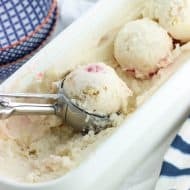 Need a homemade buttermilk cheat? Add one and a half teaspoons of white vinegar to liquid measuring cup, then add enough milk to hit the half-cup line. 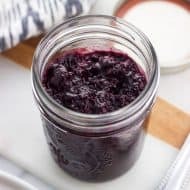 Let sit for at least five minutes, and then proceed to use in the recipe. I used this tip here, along with 2% milk. Preheat oven to 350°F. Grease and flour an 8"x8" square pan. Add butter and sugar to a large mixing bowl and cream for a few minutes until fluffy. 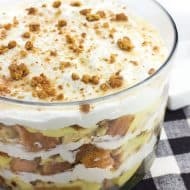 Mix in egg, vanilla, mashed banana, and buttermilk. Add the dry ingredients into the bowl with the wet ingredients and mix until just combined. Stir in mini chocolate chips. Pour out mixture into the prepared pan, smoothing the top with a spatula. 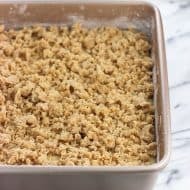 Prepare crumb topping according to recipe instructions (link in the ingredient list above). Evenly scatter crumb topping over top of the crumb cake. Bake for 35-40 minutes, or until a tester inserted in the center comes out clean. Let cool in the pan before slicing. 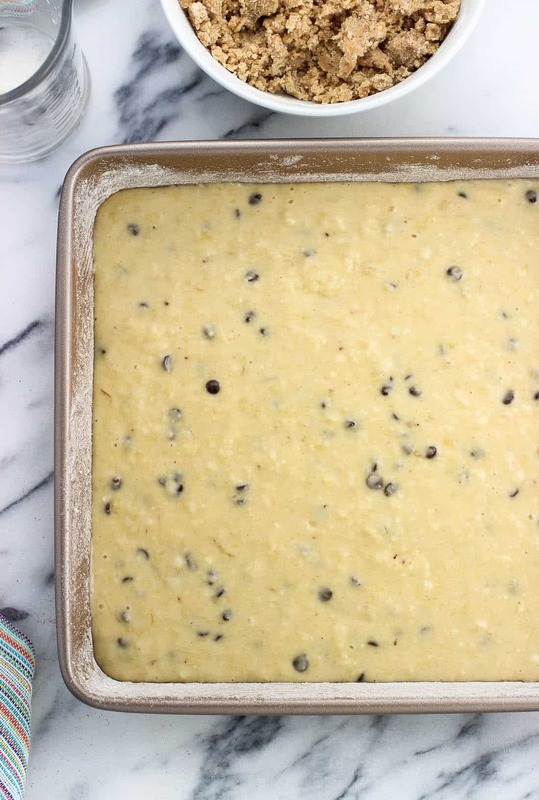 It's important to use buttermilk here instead of just regular milk, because the acidity is needed to react with the baking soda so this chocolate chip banana crumb cake can rise in the oven. Cake portion adapted from The Kitchn. This is just the kind of cakes I simply LOVE! Looks absolutely delicious!